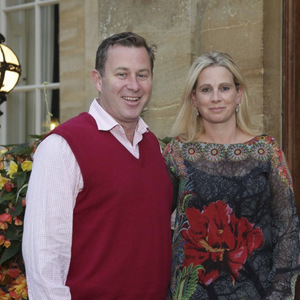 Family Owned for Generations In 1994, when Louisa-Jane inherited Cotswold Park Estate, she started spending as much of her free time away from the demanding life of London where she worked in the wine trade, in the Cotswolds. Cotswold Park had been let for the past 14 years and the intention was to let it carry on being so for the foreseeable future. The Estate has two cottages on it, one of which Louisa-Jane took for herself so that she (and as many friends as she could squeeze in) could come and stay every weekend and dream about the day she could move back into her Grandmother’s house and enjoy the stunning surroundings of the Cotswolds. But, in this day and age an estate like this cannot run itself and needs income from wherever possible. It was at this time Louisa-Jane met her future husband, Simon and together they enjoyed 10 years weekending in the cottage. In 2004 Simon & Louisa-Jane decided to leave London and move to Gloucestershire. They bought a house in Minchinhampton (only 20 minutes away) so they could start to take a larger role in the running of the house and work out the future of the estate. Simon commuted to London every day from Kemble Station to his job in the Events Business and Louisa-Jane looked after Ned, the soon to arrive Rosa and the later addition of Ellie. Over the next 8 years many plans were thought up ranging from bottling the huge amount of natural spring water that the estate has running through it to converting the barns behind the house into recording studios! In 2010 a decision was finally made, with the assistance of Simon’s knowledge of the leisure industry, to convert all the barns behind the main house into a large holiday let / corporate venue. The buildings just lent themselves to this and a very clear picture was there for all to see. For the next 2 1/2 years using every spare moment they had, Simon & Louisa-Jane along with planning consultants HunterPage, and architects James Slater drew up plans for the future development. In June 2012 plans were submitted to the Cotswold Planning Offices. By August planning had been granted. This was a huge achievment, as many will tell you it is notoriously difficult to get planning through first go here in the Cotswolds! ""WOW, WOW, WOW!!! Incredible all round. What a team to convert a barn and cattle shed into a seriously smart, impressive venue. Beautifully and diligently done. It made me weak to even imagine how much hard work has already gone in to the project. I simply wish you the very best for its success.""